Location, location, location! 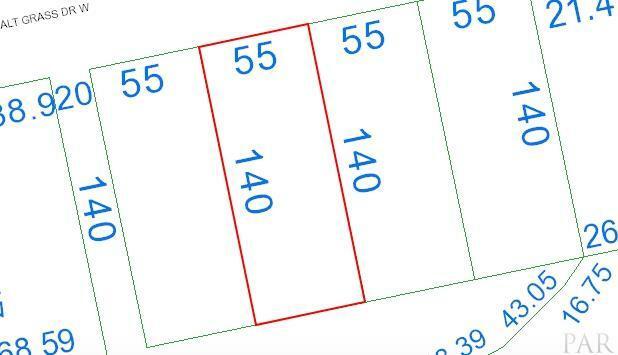 Located 1 mile west of I-10 in Northwest Pensacola, Florida,This residential lot is located in the desirable subdivision of Nature Trail in Pensacola, Florida. It is surrounded by approximately 400 acres of natural woodlands, which are permanently preserved for wildlife, as well as for the enjoyment of the residents. Nature Trail is a gated community with upscale homes and is just minutes from the new Navy Federal Credit Union corporate campus. The Pensacola airport is approximately 15 minutes away and our beautiful white sand beaches and Naval Air Station are both a quick 30-minute drive. The University of West Florida and Baptist Hospital are both approximately a 15 minute drive. It is perfect for family life, featuring a large "lodge style" community center with pool, tennis courts, fitness center, hot tub, pavilion/gazebo, picnic area, playground, 5 miles of walking/nature trails and parks all inviting neighbors to come together and enjoy all that this upscale community has to offer. There are 400 acres of nature preserve that surround the development. This community offers the the country club life without the country club price. Listing provided courtesy of Poppy Properties Llc.